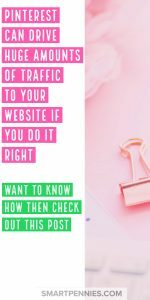 Setting up your Pinterest Account to drive traffic to your Website is not as hard as you think this post will help you figure out what you should be doing. 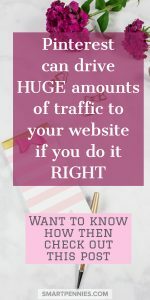 Are you clueless when it comes to using Pinterest Interested to know how to use one of the best visual search engines to drive lots of lovely traffic to your website EVEN if you have a new blog? If YOU have said yes to any of the above then you have come to the right place! 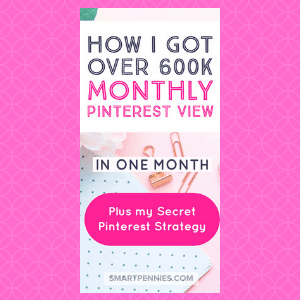 Today I am going to help you unlock the mystery that is Pinterest you will find out how to set your account the correct way, setting up your boards, joining group boards and much much more so stay with me if you want to continue into this epic post. 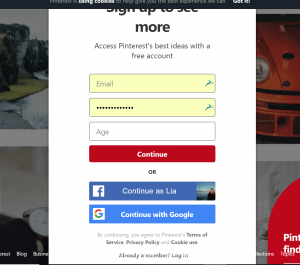 When you first log in to Pinterest you will be presented with the login page like this image below scroll right down to where it says sign up with a business account. Sign up and away you go- well not quite there are a lot of things you need to get set up first. One really important trick for later on is to take a note of all the topics that align with your account that you want to choose for Pinterest to show you relevant pins for when you first log in. Why should I do this because Pinterest is going to show you RELEVANT pins based on the topics you choose. How do they pick the topics and pins to show you? From the Board descriptions and keywords in pin description so if you use the words that are under the topics then you are already onto a winner with Pinterest because they are already showing you important keywords. This will have similar names to topics. 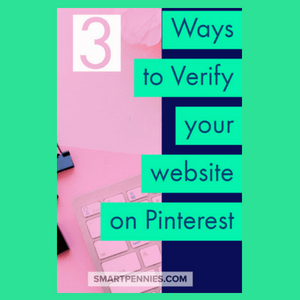 One really important thing is to get your website verified by Pinterest there are different ways you can do this. 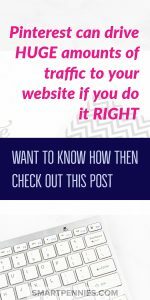 Sometimes it can be really tricky and I have written a post to let you know how to do it through your Cpanel if you want to try it that way then check out this post the alternative is to add the meta data from Pinterest to your Website Header. For Smartpennies.com I managed to upload the metadata to my Cpanel as I could not upload directly to the header section of my website. You may or may not have this issue. With my second site, Smartpennieslife.com I installed a plugin called Header and Footer scripts primarily to add code for Amazon associates as an affiliate so I could add Native Ads. Because it was really easy to add the code to the header using this plugin I went ahead and add the code to the header area of the plugin for the metadata from Pinterest. Things have moved on in the Pinterest world once I added and updated the metadata on my Website it was verified straight away so I recommend if you think you will use the Plugin to go ahead and install it otherwise follow my directions on my post to add it to your Website Cpanel. Too many Plugins will slow your site down. Yep told you there were a few things to get done. You need to set up Rich Pins and once you do it once that’s it set up which is great news. What exactly are RICH PINS? Rich pins are pins that will display your website details and icon below them when you have a pinnable image available this will mean you are readily accessible to people looking for the pin source – in other words, YOU. The Easiest way to set up RICH pins. 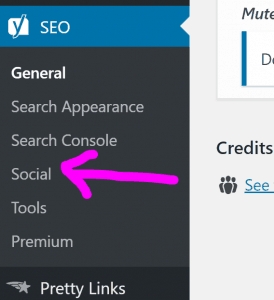 Make sure you have YOAST SEO plugin installed and activated you really need this for your SEO efforts as well. 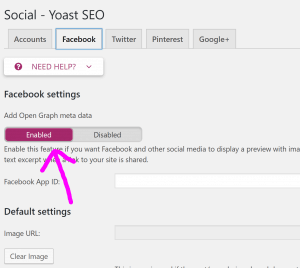 You will need to pop over to Yoast SEO making sure the advanced settings tab is enabled. 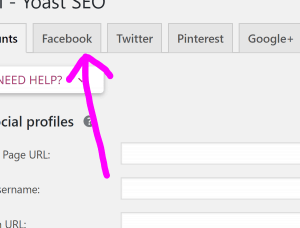 First, go to Yoast SEO and scroll down to Social under the menu tab. Next pick Facebook from the Yoast SEO social page. Next, make sure the tab is enabled and save this setting. 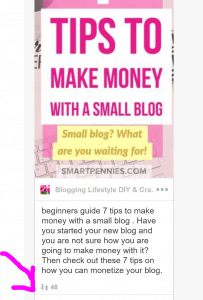 Copy the link to one of your blog posts ( not your homepage) and then pop it into the rich pin validator and it then does it thing and you should then see a message that your rich pins have been validated! Woo hoo as I said you only need to do this once. Let us recap so you have your list of topics from when you first signed up for Pinterest if not have a look at the category page to give you great board names and keywords. Stay as broad as you can with each board name, for instance, you can go with Crochet rather than Crochet flowers this will give your account more options for Pinterest to assign how relevant your Pins are. I recommend at least having 5 of your own boards if not more and you should have at least 10 pins per board – please please please make sure these pins point to good websites and not spammy sites as Pinterest will not be pleased and potentially could shut your account down so only save great quality pins. Each of your boards should have great keyword descriptions don’t just have a list of keywords make the boards sound great. Should you have Board covers well I did start with them and decided not to bother continuing. Its a lot of work and Pinterest, in reality, can’t see your Covers so it will make no difference to your Pinterest SEO efforts. Group Boards: Should you join them? The most recent debate on Pinterest is whether or not group boards are dead! I feel there is still a place for good quality group boards certainly when I look at my Analytics in Tailwindapp the best performing group boards are all ones that are on specific topics eg. DIY & Crafts rather than a generic add your best blog posts here Boards. if you feel you want to try it for FREE then check it out here. How do you find group boards to join? Be a spy! Look at other Pinners profiles – Search Top bloggers in your niche and see which Group boards they are part off and apply to them. I am not saying I am a top blogger but here is my profile page with group boards on it. Not all my Group boards show up as I have archived the ones according to my Tailwindapp that were underperforming and not keyword specific enough. You will only see these analytics if you use Tailwindapp don’t forget its FREE for the initial trial. But in order to get impressions and views you need to be seen in Pinterest via Group boards or even Tailwindapp tribes – although I haven’t used these to increase my Pinterest growth. I don’t have specific rules for my boards in terms of limits to posting but I do ask that you don’t spam my boards I manually pin as well so I do alway look through my own group boards and will remove accounts that are spamming the boards. I have lost count of the number of one line rude request – for instance “add me to your group board” then a follow up have you done it yet!! With no polite request so if you find I haven’t replied its because I don’t like rude people and you just go into my bin sorry but that’s it. I am a member of over a 100 group boards and only had about 20 not respond to me for a request to join so it pays to be polite guys! Pinning Schedule : how many times should you pin a day? What can I say, guys, there is no right or wrong here I can only tell you what I have done and how it has affected things on my account. So I tend to be on the side of if you are going to all this trouble to market your pins then they should be the majority of what you pin if you have more than 30 pins. Try and not replicate them all the time if you have less than this pin other people’s pins half and half to your own so it doesn’t look spammy. More than this and I go with 80% mine 20% others on my Tailwindapp schedule – I also manual pin so when I pin one of mine, I then pin from that board someone else’s pin to my own boards. When you are first starting out you really need to pin a lot there is no right number. Pinterest Traffic Tips: How Often Should You Pin on Pinterest? 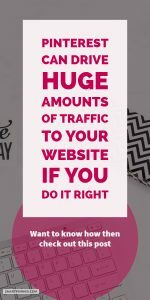 She talks about having at least 20 core pins that will continually drive traffic to your website. 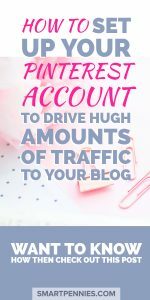 The more core pins that circulate Pinterest means you can reduce how much you pin she shows you the example of a Pinner who pins 3 times a day because they have a ton of core pins sending their website traffic. The main thing is if you pin third party pins- pin them to your own boards. If you choose to use a scheduler then Tailwindapp is the Pinterest Approved Scheduler. Tailwindapp takes a bit of time to master but once you get used to it it can be a great time saver. I tend to schedule my pins every month. I schedule my pins by adding them to the schedule and then shuffling my schedule I don’t bother setting up a day apart schedule as I then find it confusing when adding new pins each week. As long as the boards I pin to don’t have less than 5 daily pin limits. 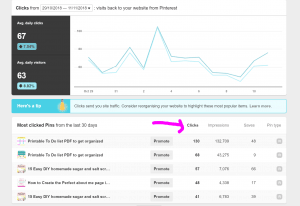 What can I say about Pinterest Analytics – really the only one you should really look at is your click-throughs. It really is the only thing that’s important when it comes to Pinterest Analytics. If you have a look at the image below you can see where the clickthroughs are on the account you go into it via your website profile on the analytics account. Basically, you want your pins to stand out in the smart feed so they need to be DIFFERENT! You can create Pin images using various software I have personally tried PicMonkey check them out here, Canva which I still use as its free for creating my featured images but my favourite is Adobe Spark you can try it for free or sign up for the paid versions I have tried them both the only real difference is you don’t get the watermark on your pins with the paid version. Should all your Pins be the same? Yes and no- create pins that look totally different but have the same style fonts and colours stick to a few colours for your fonts . 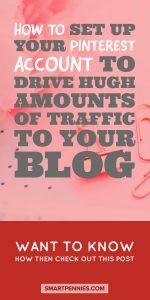 Add your description – make sure you do your Pinterest SEO to pull the most appropriate keywords and guy’s you don’t need to have the Pin title be your blog title you want to create intrigue! How do you figure out which pins are doing well? You need to give your pin a few weeks grace on Pinterest they won’t take off really for at least two weeks if its going to do anything so once you add it to Tailwindapp you really want to wait and see how its doing. As often as you can manage its a bit like adding new blog posts. If you make multiple pin images per post the advantage is that they are all new to Pinterest EVEN if they all have the same URL Pinterest still recognizes these as new pins. 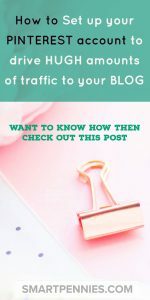 So make multiple pins for each post and schedule them to go out over a few weeks each time you write a new post say once a week you will have lots of new pins each week to go out from the previous weeks and the new scheduled one. This is partly why I do 10 pins per post to have new pins circulating Pinterest each week. Pinterest LOVES LOVES LOVES new content. 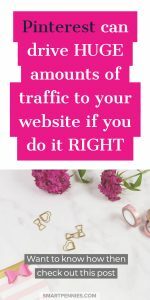 It is time to get your Pinterest account set up to drive traffic to your website – don’t forget its FREE to use and you can drive lots of lovely traffic to your website. 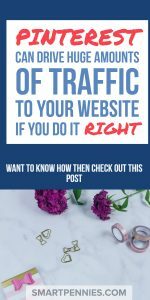 So what are you waiting for – get started as soon as you can and you will be impressed at how it can help you gain views. 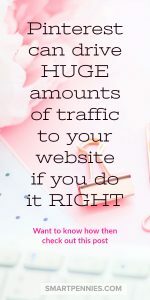 If you follow what I have said you should have a great keyworded account that will help you gain traffic today.